Hypnose drama mascara is my favorite. It's long-lasting but easy to remove, and makes my fairly stubby eyelashes look much fuller than they actually are. One drawback about purchasing it here? It's more expensive than on other sites! You can get it cheaper. 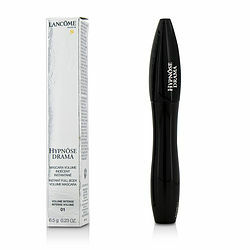 Lancome hypnose drama instant full body volume mascara-- Very nice, non irritating. Doesn't flake off. Goes on smooth and my lashes don't feel dry and heavy after a few hours of wearing this mascara. Definitely would recommend. The best mascara in the world bar none. When used with Cils booster the effect is astounding. I love Hypnose! !